Over 5,000 pre-kindergarten through sixth grade students in fourteen schools participate in our unique, hands-on food and nutrition education programs each year. We are encouraged by the consistent support from public and private sources, Santa Fe and Española Public Schools, and the generosity of the philanthropic community! 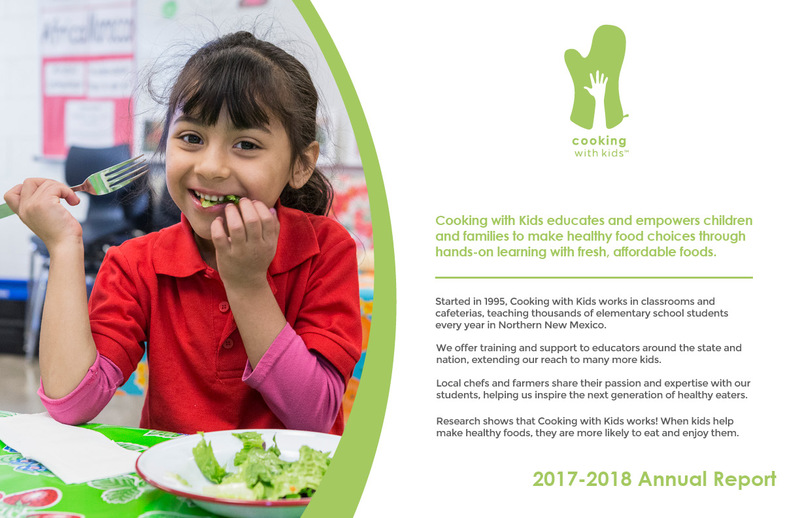 Cooking with Kids grew out of the efforts of the Santa Fe Student Nutrition Advisory Council to improve school meals, inspired by Dr. Antonia Demas’ research and the work of Cookshop and The Hartford Food System. 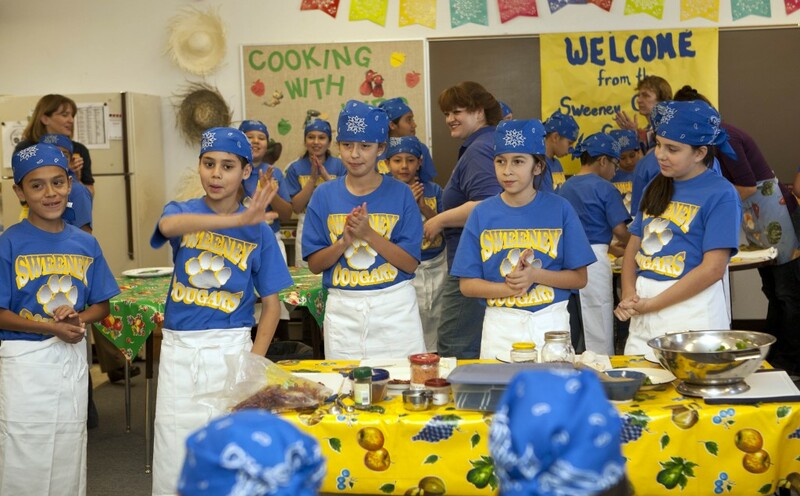 In 1995, with support from the local Chefs Collaborative chapter, Cooking with Kids began as a volunteer effort in two public elementary schools in Santa Fe, New Mexico. Our founder and executive director, Lynn Walters, has been recognized as an innovative leader in experiential food and nutrition education. 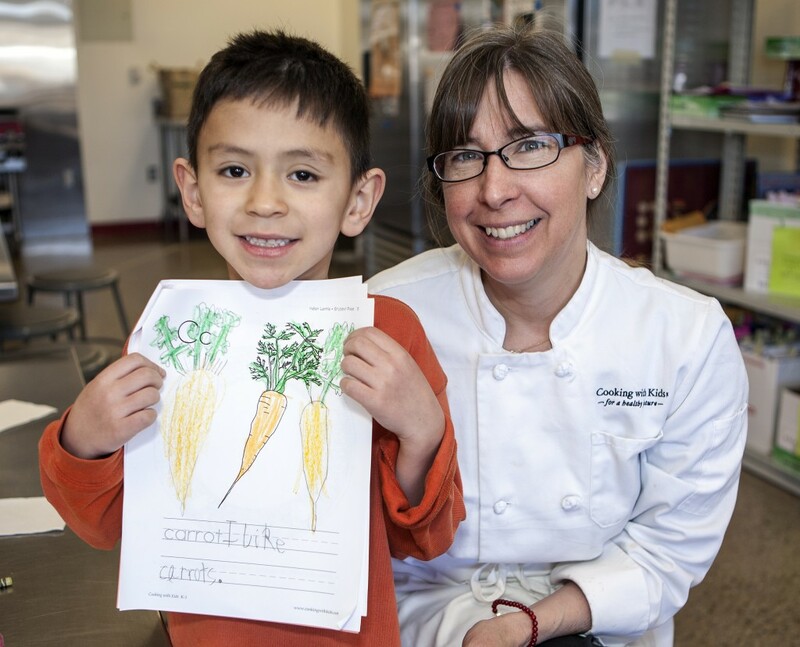 Her work has inspired chefs, teachers, politicians and other adults by bringing to the fore connections between early positive experiences with food and life-long health. 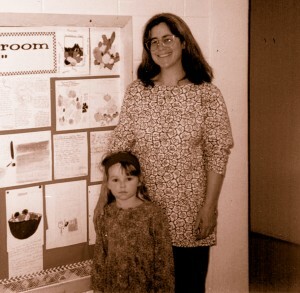 She serves on the Santa Fe Food Policy Council, and worked with the NM Department of Agriculture and other non-profit leaders to pass legislation to bring locally grown produce into New Mexico’s public school cafeterias. We look forward to a future where all children have access to and enjoy eating delicious healthy food every day!